Flash™ Detect Inject (990) is an integrated UV dye solution that injects just like Flex Inject Sealant Advanced and Total without the use of tools or manifold gauges. As soon as it enters the system, the green dye quickly exposes leaks with the use of a UV light (the Cliplight by DiversiTech 89DC is recommended). 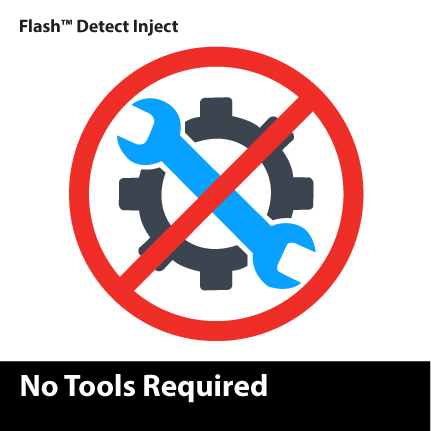 Flash™ Detect Inject is ideal in locations where leaks are not easily spotted with conventional methods. The highly soluble fluid exposes all leaks, making them easy to find. You can then use either DiversiTech’s Super Seal Sealant Advanced (can version) or Flex Inject Sealant Advanced (flexible hose version) to fix the leak. 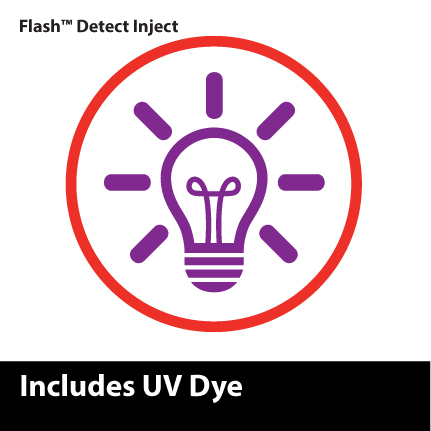 Flash™ Detect UV dye (980) is the can version of the advanced class of highly concentrated ultraviolet dye that uses DRY R™ instead of POE oil as its carrier. One can treats up to 64 oz (1.8L) of oil. Flash Detect UV dye uses the system’s refrigerant as the propellant – creating a clean, no-mess injection every time. Required hose sold separately (20122). 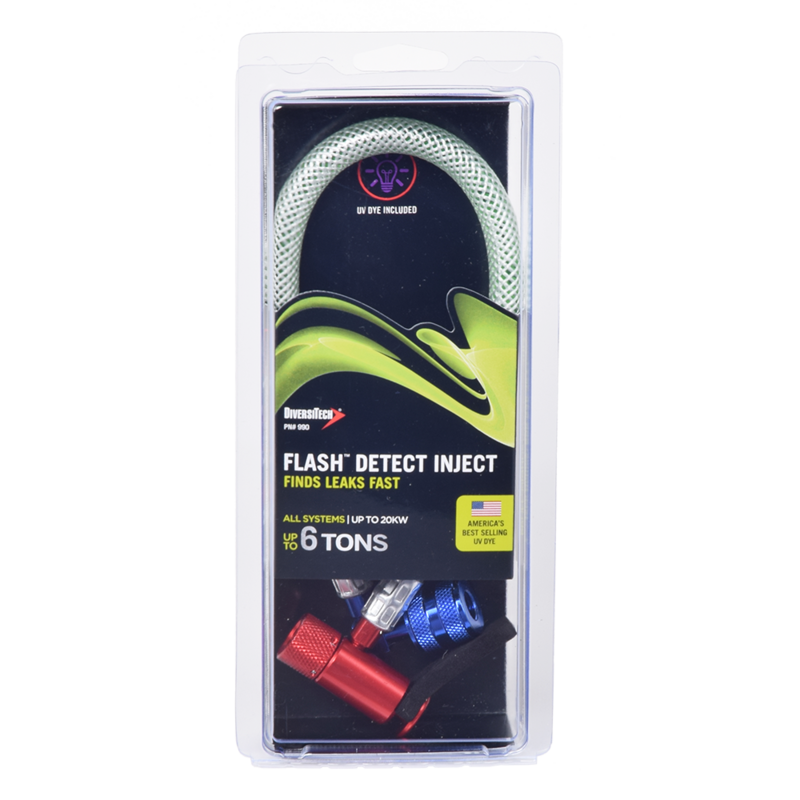 Flash Detect comes with integrated UV dye providing the ability to find leaks fast. Using a UV light such as DiversiTech's 89DC will illuminate the leak in a green color. Best of all, no UV glasses are required. 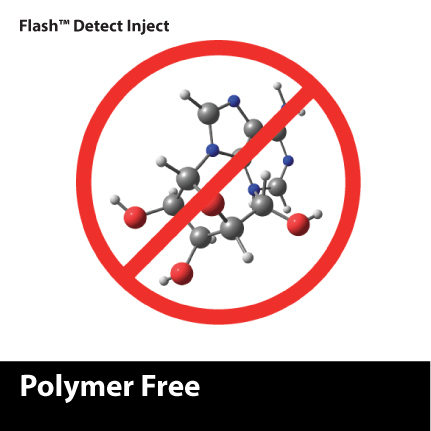 Flash Detect is polymer free and works with all compressors, heat pumps, condensers, recovery units, and other system components. It will not plug up manifold gauges, metering devices, thermostatic expansion valves (TXVs), pistons or cause cap tube blockages. Flash Detect and Flash Detect Inject is suitable for use in aluminum and copper coils and is microchannel friendly. Flash Detect is fast and easy to use and requires no tools or manifold gauges. 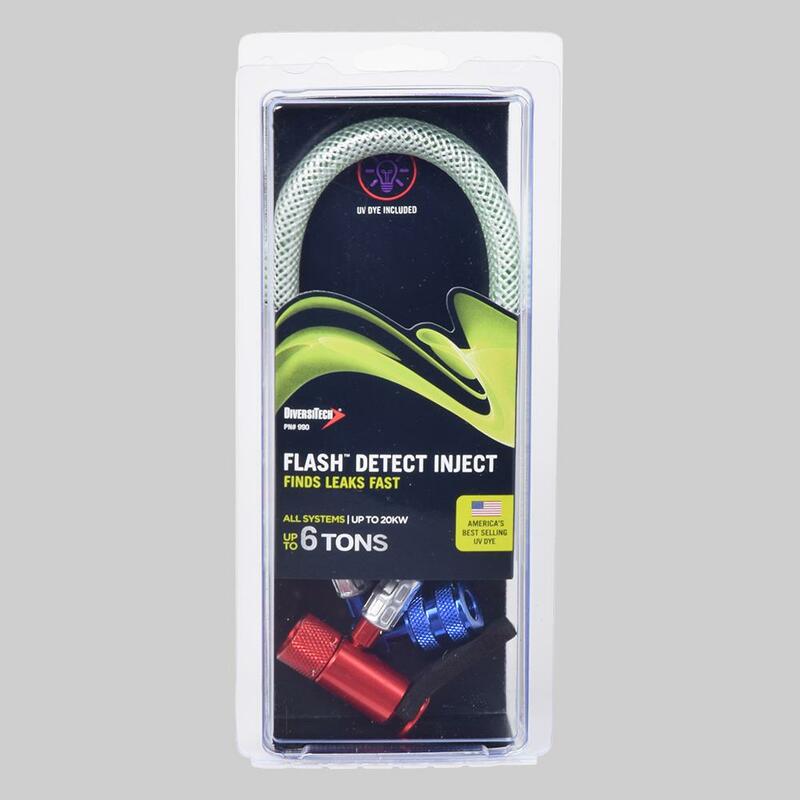 Flash Detect Inject uses a flexible clear hose with a push button valve and patented misting orifice that sends the UV dye into the system traveling with the oil and refrigerant. It finds leaks without the need for manifold gauges, service valves, caulking guns or refrigerant hoses. Just connect and go! 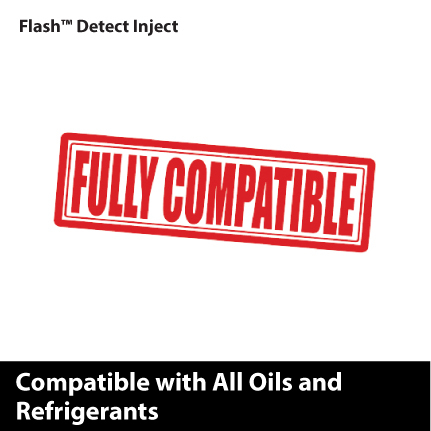 Flash Detect installs into a fully charged system with no recovery or pump down and works with all refrigerants including R134A, R404A, R407C, R410A and all oils.